The United Arab Emirates witnesses UAE Flag Day celebrations on November 1. 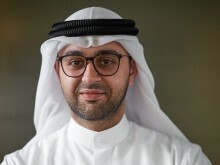 Bryan Thompson, Chief Executive Officer (CEO), Abu Dhabi Airport’, said, “The celebrations taking place across the nation this Flag Day on November 1 are a manifestation of the unity and cohesion among citizens and residents alike. The flag is a part of the national identity of the UAE; it represents tolerance, belonging, sacrifices made and sovereignty.